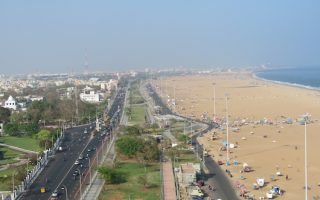 Chennai is a bustling metropolis of 8 million people and the capital of Tamil Nadu. Previously known as Madras, the city is among the most visited Indian cities by foreign tourists. Chennai chaotic and overwhelming, but also very colorful, and energetic. Running in Chennai, like other major cities in India, is a challenge. You can’t just run out the door in an average neighborhood and expect to be able to run on the road or sidewalk. Rather, there are designated running/walking areas that are most suitable for running. 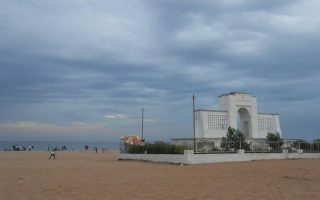 The best places to run in Chennai are along the east coast beaches, with the Marina Beach and Elliott’s Beach promenades along the Bay of Bengal. There are also some decent roads and areas for running just west of there in the Adyar and Besant Nagar neighborhoods. 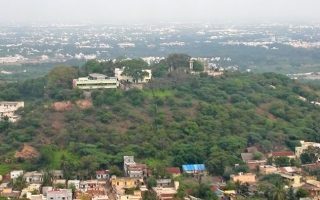 For a hill challenge and great views, run up St. Thomas Mount. 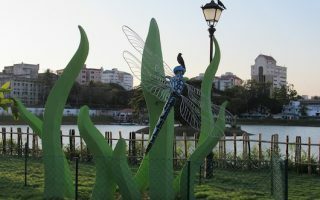 We’ve also researched some of the best ‘run parks’ in Chennai, such as in the Anna Nagar and T. Nagar neighborhoods. See the adjacent overview map for location of other parks in Chennai with decent paths for running. A couple of other notes about running in Chennai: the public transport system is good, consisting of buses, trains, and a metro. Most of our recommended routes are accessible via transport. Also, be aware of the Chennai’s heat, and the abundant rains of monsoon season. Finally, some parks and running spots have designated hours and/or require the purchase of an access pass. The signature run in Chennai. The promenade along the beach is 5 km one-way, festive and busy. The beach is runnable too. 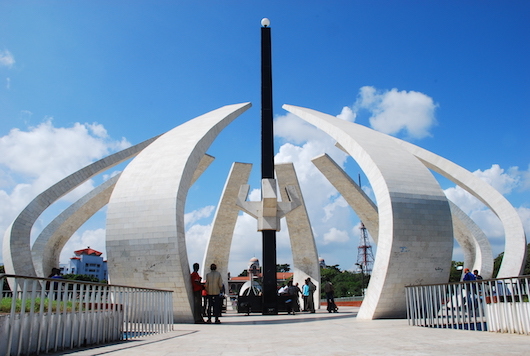 For a longer run, cross the Napier Bridge and run 2.5 km to St. George Fort & the Victory War Memorial. Another good promenade for running in Chennai. Not as long as Marina Beach, but the 4.5 km out and back path is pleasant, the beach is runnable, and there are good additional nearby spots to make for a longer run. 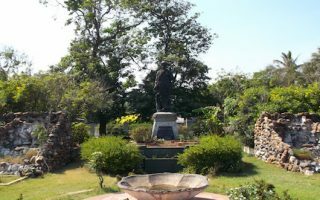 There is some good running just west of Marina Beach along the Adyar River, and west of Elliott's Beach, in the Besant Nagar neighborhood. We've developed a map and route pointing out the most runnable spots. Running to the summit of St. Thomas Mount won't tack on too many miles, but this is not a bad place to get away from traffic, do some hill repeats, and get in some great views of Chennai. Pedestrian path & 160 stairs. The Anna Nagar area, in the northwest part of Chennai, has some decent parks for running. 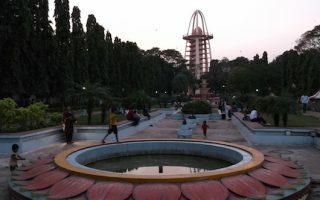 Do some laps around Anna Nagar Tower Park. Then, head over to Bougainvillea Park, which has some nice paths and shade. T. Naga is a busy shopping district a couple of km west of the beach area. One can put together a decent run in this area, passing by and around three decent parks, linked by GN Chetty Rd., where there's a collection of art deco bungalows. An admittedly random collection of additional spots that are suitable for running in Chennai: Chetpet Ecopark, My Ladys Garden, & more. Chennai’s weather presents challenges for running. It is either hot, or really hot. In the coolest, winter months, average high temperatures are 28C (84F), with lows dipping to 20C. In summer, highs often top 38C (101F), with lows not dipping below 28C. So, be aware of the heat, hyrdate, and go early! There are distinct wet and dry seasons. Winter is slightly cooler and drier, with plentiful rains especially in the months of September to November. There are hotels in multiple parts of this large and sprawling city. We recommend trying to stay as close to the east coast beaches as possible – there’s a good selection of hotels all the way down the coast, access to the best running in Chennai, and public transport. There’s a good collection of retail stores that are shoe/apparel companies, such as Nike and Asics. Running Lab is a great independent running store centrally located in Chennai. Run Foot Wear. Located in K.K. Nagar. Chennai Runners. Active group with lots of events. Chennai Runners Groups. 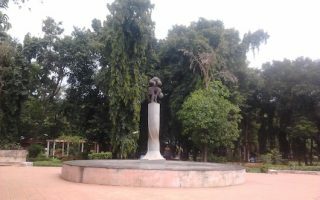 Website with information on several running groups in Chennai. Chennai Runners. Public Facebook Group. Asics Running Club. Info on their Chennai meetups here. Chennai Marathon. 1st Sunday in January. The second largest road race in India.